How Blockchain and Technology are Encouraging an Enhanced First Mile Delivery? HomeHow-ToHow Blockchain and Technology are Encouraging an Enhanced First Mile Delivery? The concept of blockchain and technology in today’s world, has been contributing to various sectors. 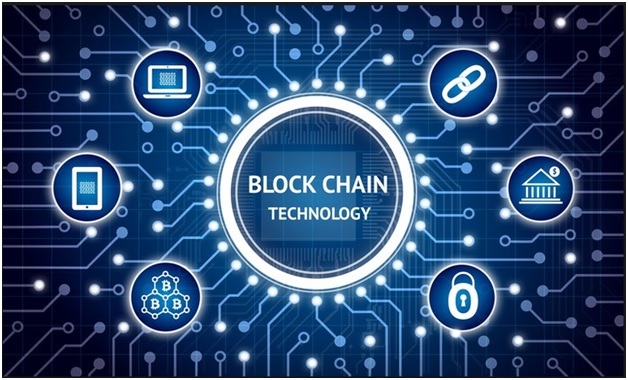 From online trades to logistics, and retail firms to start-ups, entrepreneurs and executives are being benefited by the blockchain technology. Of late, last mile and first mile delivery chains are being backed up and assisted by blockchain. But how? Let’s delve into the details, and develop a thorough understanding of the same. If we are to talk about retail and logistics globally, then it is to be mentioned that the emergence of E-Commerce is coming up with new challenges. There are basically 3 primary segments of concern when it comes to the E-Commerce industry. Both the retailers and consumers value delivery timings, locations and surveillances. Now, this is where the context of first mile delivery comes in. Before highlighting how blockchain and technology are digitizing first mile, here’s a brief overview of the concept. First mile delivery is the movement of products from retailer to a middleman agency, courier services or to anyone who would deliver the item to the final consumer. Natan Reddy (intelligence Analyst at CB Insights), is of the opinion that first mile delivery is as important as the last mile delivery and technologies backing the chain. Although it is often not talked about, it is undeniably a vital aspect to be considered if we are to talk about the worldwide trade supply chain. Now, in case you need a reminder on what exactly a blockchain is and what does it do, then here’s what you need to know. It is basically a list of records that are called blocks. These are linked and kept secured using the concept of cryptography. This particular technology enables the public to track information, control fraudulent activities, and ensure virtual transparency and more. If we are to talk about the contribution of blockchain technology to first mile delivery, then here is a list defining its overall significance. Take a look in order to develop an idea regarding the same. Online product tracking: When an order is placed, it is an immediate concern for the retailer to follow up with the product tracking, logistics and final delivery process. Now with the emergence of blockchain technology, everything has become transparent and easier for people. So, the retailers can easily keep track of delivery chains, or the first movement of products from the retailer to the courier service providers to be precise. Decreased fraudulent activities: Many times, unavailability of proper tracking devices and disrupted communication may lead to fraud acts. Your product might get misplaced, stolen and mishandled during transportation. But now, with the emergence of blockchain and other advanced technologies, e-commerce traders can follow up with the delivery chains, resulting, lesser risks of fraud, damage and theft. Making worldwide trade more efficient: If we are to look at the bigger picture, then decreased fraudulent activities and the advantage of online product tracking will make global trades more efficient. The math is simple; product damage, misplacement, theft and the likes will only affect the trade. While on the other hand, easy tracking technologies and blockchain technicalities are bringing forth live tracking facilities and virtual transparency. Now that the world is gradually embracing the technology, e-commerce trades are now more secured, progressive and effective from every single aspect. Also to be noted, without securing the first mile delivery process, you cannot ensure a successful last mile deliverance of product. If we are to cite what Natan Reddy had to say in this context, blockchain shipping, freight-booking digitization, autonomous shipping and other technologies are helping trades become more prosperous. There will supposedly be lesser delays in truck commutations made for product deliveries and shipments. Mr. Reddy is also of the opinion that with the standardization of blockchain, all delivery chain executives and employees will now be able to save money as well. Since there will be lesser or no paperwork associated, the entire cost will thus be controlled and saved. Moreover, blockchain technologies encouraging online tracking and virtual monitoring will also take care of issues, which may arise due to shipping delays and the likes. Now that you are already aware of what probable changes and benefits are ensured by blockchain and technology in terms of first mile delivery, here’s what more you need to know. As discussed earlier, both first mile and last mile deliveries are equally important when it comes to the context of global trade. Now, if you wish to explore and realize what exactly are the benefits brought forth by blockchain and technology in the field of last mile deliveries, then here’s what you need to know. Widening delivery location choices for consumers: The emergence of blockchain and technology can now help consumers in this matter. These days, most of the buyers are inclined towards choosing different delivery locations. Since safe location options like lockers and pick-up points are emerging with each passing day, blockchain might simply make things much easier in this matter. Faster delivery of products: This is yet another significant advantage of blockchain and technological advancements in the delivery chain. With transparent communication and live tracking features, chances are unlikely that the delivery agents would appear late with parcels and any other product ordered. With live surveillance and instant feedback facilities introduced, products are likely to get delivered faster. Automation of last-mile delivery makes things less hassle-free: Drone-driven last mile delivery facilities have the potential to simplify things to a large extent. E-Commerce companies like Amazon have already roped in such technologies in order to serve consumers better. Now, with the emergence of drone delivery mechanisms, you can expect to receive parcels much faster. If you are wondering what has automation of delivery mechanism get to do with blockchain and technology, then here’s everything you should know about. Even if the entire delivery chain gets automated in the near future, blockchain will have a major role to play. With each passing day, more technological advancements will be brought forth; stricter security concerns will be considered. Hence, blockchain technicalities will always be considered as a crucial device, as far as virtual security and transparency is concerned. IoT technicalities go hand in hand with the physical world. It collects all information and transforms them digitally, resulting, lesser risks of theft, misplacement and information disclosure to the third party. Even blockchain is in sync with the physical components of the world. It maintains multiple causal chains. Now that these two components of blockchain and Internet of Things have common attributes, it is supposedly a good idea to bring them together. Reportedly, the BTN and QTM Foundation have signed “Memorandum of Understanding”, in order to form a blockchain technology laboratory. This is apparently one of a kind partnership to occur in the country. Thus, it is pretty evident how the world is gradually moving towards blockchain advancements. From globally recognized companies, to start-ups, and e-commerce to delivery chains, blockchain seems to have penetrated almost every sector. Coming back to the context of the last mile and first mile delivery, for instance, e-commerce organizations run by academic assignment experts and essay writers are also about to be benefitted by this technology. The assignment writing industry and executives associated are committed to deliver projects and solutions on time. So, in order to cope with the demands and meet expectations of clients, both first mile and last mile delivery procedures are required to be followed up by the online assignment helpers with precision. Hence, blockchain is a technology that would come into play in this context. Both the service providers and users would get to enjoy a transparent workflow where everything is virtually accessible and could be monitored easily. If we are to talk about online payments and client confidentiality, then also blockchain and other advanced technologies have a major role to play. Since the encryption mechanism ensures safeguarding of data in a recorded format with improved traceability and transparency, consumers can expect a safer monetary transaction at the end of the day. Moreover, everyone looks for a safer mode of transaction when it comes to e-commerce. Now that the blockchain technology is ensuring the same, there’s no doubt that both the retailer and the consumer will equally be interested in roping in the mechanism. We certainly cannot deny the fact that blockchain is a technology which has rightly been introduced at a time when virtual securities are at stake. From delivery chain management to ensuring enhanced productivity, introduction of blockchain and likewise technology is simply a perfect deal for fruitful outcomes. Author Bio – Gracie Anderson is an online Essay writer associated with MyAssignmenthelp.com. Apart from being an academic associate, She Loves travelling and horse riding. In addition to it, the 29 years old is a fan of classic rock, jazz and reggaeton music.